Me and my Friends as Furries. 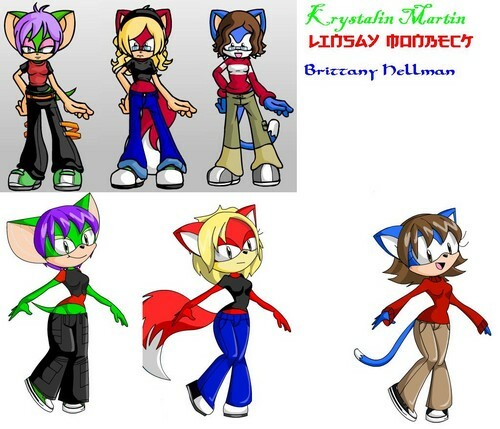 I was bored and made me and my friends as furries. The names are in order. My friend Krystalin is on the left, I'm in the middle, and my friend Brittany is on the right. HD Wallpaper and background images in the Sonic Fan Characters club tagged: fan character sonic the hedgehog fanart. thanks. Our fur colors are based off of our favorite colors. glad I inspired you. Also, the ones on top were made on female furry doll maker v1.2 by gen8hedgehog on Deviantart and the ones on the bottom were made on Sonic Charrie Maker by chriserony on Deviantart.